FAIRFIELD, Calif. -- A California man has been arrested for what police say was "a long and continuous history of severe physical and emotional abuse" of his 10 children between the ages of 4 months and 12 years old. Police in Fairfield, California, say they uncovered the alleged abuse after responding to a report of a missing child March 31. Sharon Henry, chief deputy district attorney for Solano County, said Monday the torture was carried out "for sadistic purposes" and she was "horrified" by the statements from the children. Fairfield police Lt. Greg Hurlbut said that the children taken from the home had puncture wounds, burns, bruises and injuries consistent with being shot with a pellet gun. The abuse was revealed in interviews with the children over the past six weeks. "It literally breaks your heart, and you're outraged by how a parent or anyone could commit those acts," Henry added. When police located the 12-year-old and responded to the child's home, officers said they conducted a search for other children at the residence. They found another nine children, "rescued from horrible living conditions," according to a Fairfield police press release. The children were "living in squalor and unsafe conditions," police say. 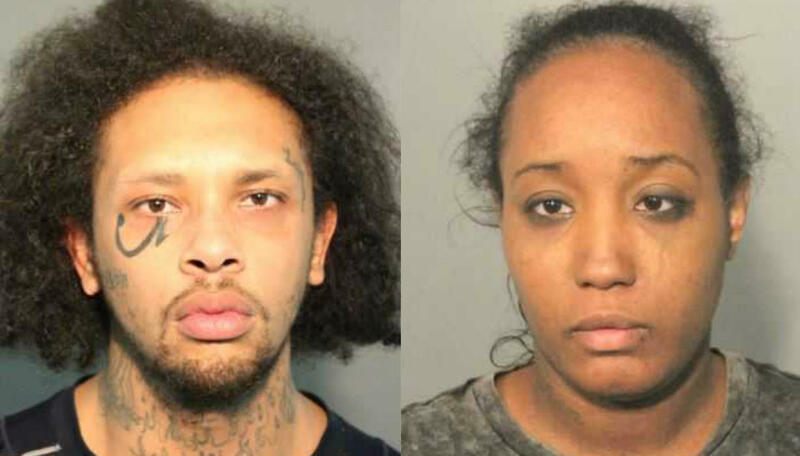 The children were taken into protective custody and their mother, 30-year-old Ina Rogers, was soon booked into Solano County Jail on child neglect charges. Rogers was released after posting $10,000 bail April 9. Rogers told reporters Monday that she called authorities in March after her 12-year-old son didn't come home. She said the "squalor" officers saw while investigating came from her tearing her house apart as she searched for her child. "Fear set in ... that my son was missing," she said. "So I ripped up my whole house ... tore everything out of the closet, lifted up the beds." The children did not require medical attention when they were removed. But stories about abuse came out gradually over the past six weeks and eight of the children told professionals about incidents dating back several years, authorities said. The Fairfield Police Department said it obtained an arrest warrant for the childrens' father, 28-year-old Jonathan Allen, after an investigation "revealed a long and continuous history of severe physical and emotional abuse of the children." Allen was arrested May 11, and charged with seven counts of felony torture and nine counts of felony child abuse. A felony complaint filed by the Solano County District Attorney's Office notes that the allegations of torture and child abuse include incidents that occurred between January 2015 and March 2018. "I love my children ... my husband loves his children," Rogers said. "He does have a lot of tattoos ... he does look a little scary so it's easy to think that he's a monster, but he's not." Rogers said that the children are with Rogers' mother and sister. The house has four bedrooms and is located 46 miles northeast of San Francisco.